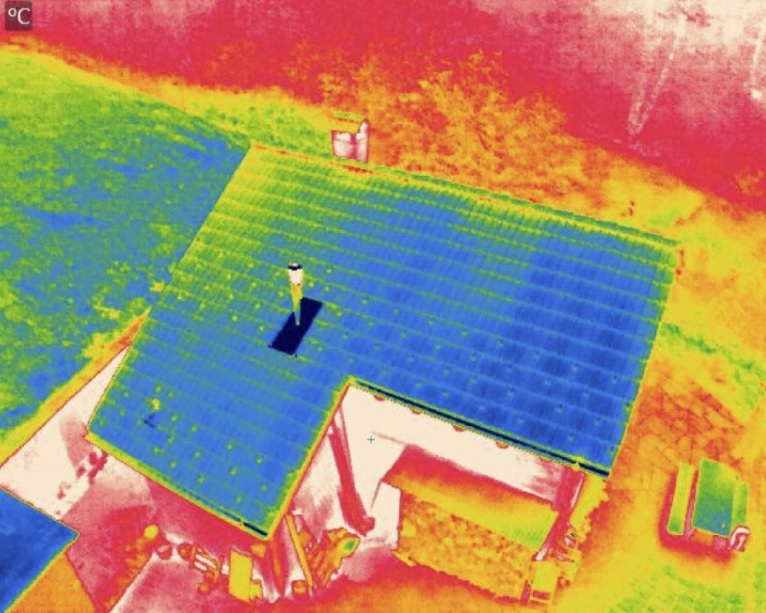 The well-known company contacted drone service company Oblivion Aerial SA to investigate why one of the solar panels on its roof wasn't producing the expected energy amount. Based on the temperature difference in the thermal map, created using a FLIR Vue Pro thermal camera and Pix4Dmapper, exact problems and locations could be noted noticed. Two issues were found in the first inspection. A large region of the rooftop had a higher temperature, which indicated possible connection issues for the inverter. Upon receiving this information, the client decided to shut down the power supply for the detected region and recheck the connectors. This issue normally happens when connectors are oxidized, due to high humidity and low-PH weather conditions. The other problem was a hot spot. The thermal map helped the company estimate the cause of the hot spot. For example, a large temperature difference between a hot spot and surrounding modules (32 degrees Celsius for this project) may indicate a broken module, while a smaller difference can simply be dirt or soil covering the module. A second inspection was conducted while the installation was connected to the inverters. There was clearly a misconnection between multiple groups of modules. The issue was resolved by replacing the connectors. 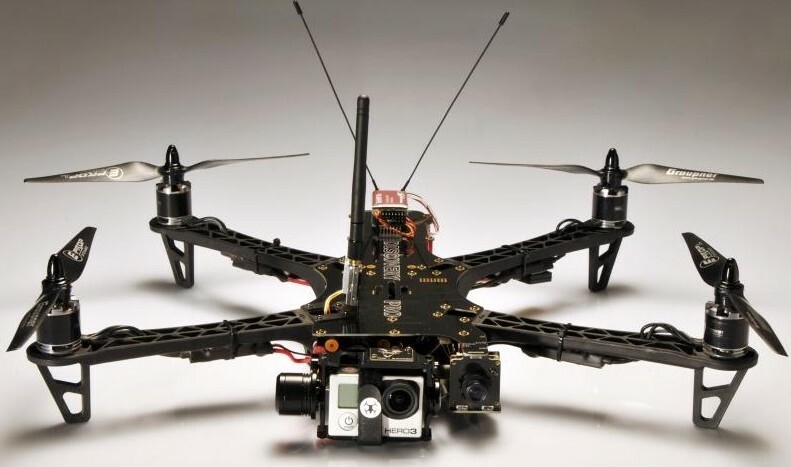 A quadcopter multi-rotor drone equipped with a FLIR Vue Pro (640) camera, 9mm focal length, was flown manually to acquire NADIR images, which were triggered every second. The first inspection was conducted with 211 images with a rough resolution of 10 centimeters. However, the second inspection included only 11 images, which took less than five minutes to process. Despite being so quick to process, the results gave the client sufficient information for the quick examination after the replacement work. From the first inspection result, we can see some dark regions, which were affected by the camera calibration during the flight. Each image was manually adjusted for constant reflectance values. 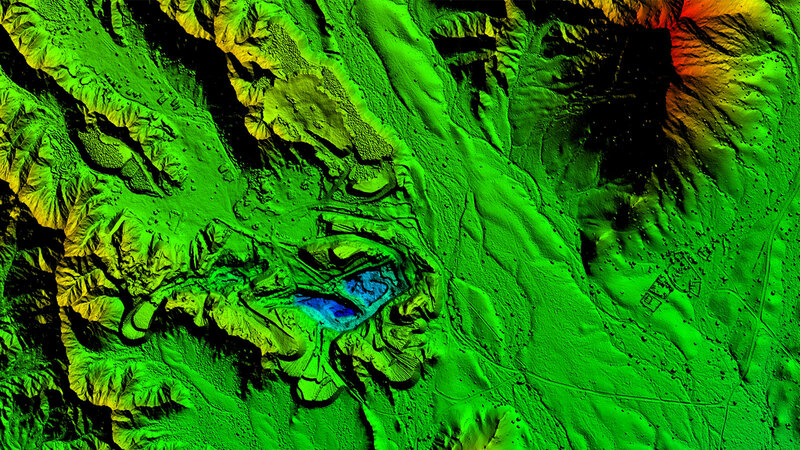 Along with some on-site temperature sampling, a high accuracy thermal map was created in Pix4Dmapper. For this project, some issues were found apart from the major connection problem. An overheated cell indicates a possible damage on the north-west, and some scattered dirt coverage which resulted in minor temperature rise. A hotspot found on thermal images, the cells appear overheated and cracked (left) and a visual inspection will confirm the physical breakdown of the module (right). This gives information on location and condition of solar modules. The output can be overlaid with other existing building data for further analysis, and archived for repetitive monitoring. This information cannot be gleaned from color images. 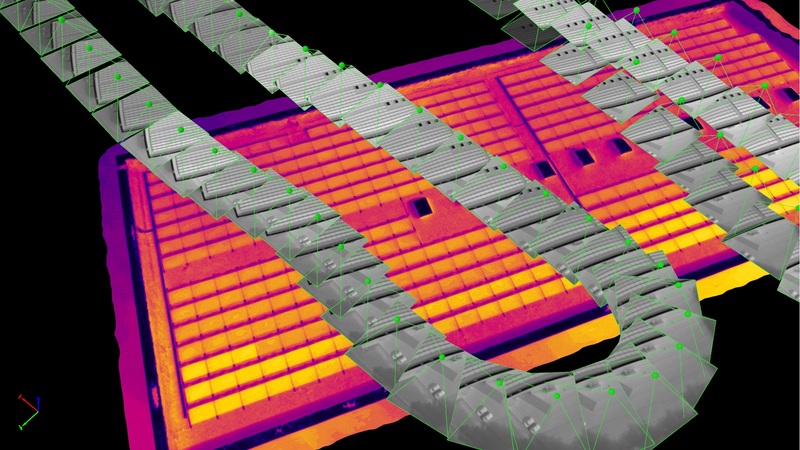 The most obvious advantages of thermal mapping for this project is the speed and flexibility of response, such as hot spot detection, and hot spot type estimation, based on the information thermal images provide. This information cannot be gleaned from color images. The ease of locating problematic modules over a huge area is an obvious benefit, over a large area of modules that look exactly the same. Thanks to the Pix4Dmapper, it is now easy to orientate through an entire installation without the risk of having the wrong location of malfunctioning modules or problematic components. 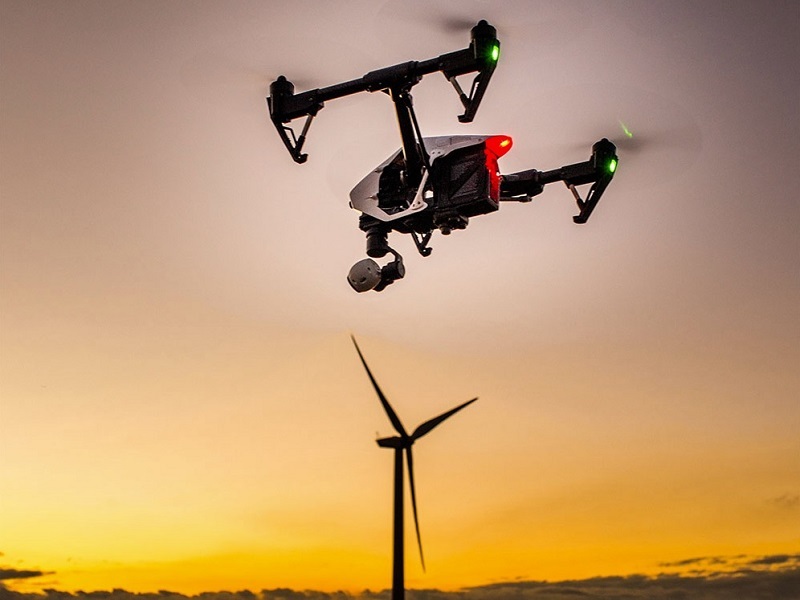 A detailed topographic drone survey of a proposed wind farm was required to evaluate the feasibility and plan access on difficult terrain.